I had my BAV replaced in Feb. 2005 (porcine tissue) with a Dacron repair of the ascending aorta. We are now seeing moderate stenosis, hence replacement in the not too far distant future. My performance as a cyclist–given my age–puts me in the elite category, although with the stenosis I am experiencing a definite decline in performance. Also, due to a bout of DVT and elevated d-dimers I’m on Warfarin for life. So my question: does there appear to be any performance advantage of tissue valves over mechanical or does the fact that I’m on the anticoagulant anyway make the mechanical valve sort of a “no brainer” choice? Aortic stenosis will limit athletic performance at the top end. And, of course, aortic stenosis can affect one’s native aortic valve or a prosthetic valve substitute. Compared to our own native valve, all of the available prosthetic substitutes have a small degree of aortic stenosis built in, unfortunately. They all cause a small bit of obstruction to blood flow as it leaves the heart. In general, the larger (in diameter) the substitute valve is, the less aortic stenosis it will produce. That’s the reason we try to place the largest possible substitute valve in patients who need replacement. Replacement of the aortic valve with either a cryopreserved human homograft (the aortic valve from a human cadaver) or with the patient’s own pulmonary valve results in the least obstruction to blood flow. But neither of these procedures are durable for the long-term. Valve replacement with either a tissue (bioprosthetic) valve or a mechanical valve is, by far, more common. Perhaps that info will give you some basis for discussion with your cardiologist and surgeon regarding the type of valve that is used for your re-replacement. Thank you very much for your thoughtful response. Your web site and the links have much good information. I see my cardiologist the end of May. I will keep you posted. I’m a 30 year old male who is currently living in Asia with family. I was having chest pain and flew to Thailand to see what the issues were and they found I had GERD and Esophagitis. But, while doing my cardio stress test they discovered that I have a Bicuspid Aortic Valve. The doctor said it wasn’t serious, but that I should keep watch on it every year. Okay, that’s great…but I left feeling uncomfortable with the diagnosis. 6 weeks later I’m still experiencing symptoms that (in the back of my mind) have me thinking about the BV issue. I get sporatic tingling in my left hand and foot…and every so often in my left cheek bone. I have some issues with a dull pain right below my left breast that seems to come more often with a poor diet…but just doesn’t seem like it could me esophagus related? In addition, I will get a random bout of lightheadedness when standing or sitting in a awkard position. This is amplified when I sit with my feet up (male cross-legged) because of the tingling/numbness in feet. The thing that keeps me sane is that I can jump on a treadmill or go play basketball for a few hours and feel relatively normal. We live at 6,500 ft (elevation) so I’m not sure if it’s affecting my blood pressure when doing ‘normal’ things. Are there any things I can do now to help minimize my risk? What signs should I look out for? – No LV chamber chamber dialiation, normal LV wall thickness, good LC systolic function, No regional LV wall motion abnormality. Normal LV diastolic function. – Stress echo revealed hypercontractile with normal response in all LV segments, no LV cavitary dialiation. Frankly I’m worrying quite a bit about this…and I feel like it’s causing additional chest pain and shoulder pain. Your site has been helpful in provided a sense of peace…but an extra insight would be super encouraging. For healthy individuals who have BAV with no other heart or aortic problems, follow-up imaging with echocardiogram and/or CT could probably be undertaken annually, or perhaps less often once stability is ensured. I can imagine it might be difficult to make arrangements when you live in one country and your doctor(s) work in another. There are certainly individuals with BAV who never have trouble down the line. There are many causes of light-headedness and chest discomfort that are not related to the heart. Best to continue to work towards identifying cause(s) and getting any needed treatment. Thank you for the follow-up! So, my question then is really, what should I look out for? Since I’m not close to good medical care, are their specific things that I will start to notice if my heart valve is causing a problem? Is the biggest risk (from numbness) a ‘over-calcified’ valve which would cause lack of blood flow? In this case, would it be an overwhelming pain? Lack of breath? Etc…? I just want to know what things I will see change so that I don’t look past the change in my valve and miss my window to get the valve replaced. Great article! It’s awesome to see you are diligent at responding to people also. I am a 28yr old male, and I’ve just found out about my BAV. If labeling my fitness level I wouldn’t use the term “athlete”, but I used to work out pretty vigorously 5 days a week until about 8 months ago (weights, medium endurance cardio, no longer distance running than 5 miles, interspersed with HIIT). I would like to get back into it, but obviously I have been having some concerns. Maybe you can help me with some questions. Is a CT or MRI absolutely necessary for measuring the aortic diameter? The reason I ask is my Cardiologist said it looked fine in the echo imaging, but (and correct me if I’m wrong please) I got the impression from what you said in this article that a CT or MRI is necessary for aortic diameter measurement. Is that so, or can it be measured by the echocardiogram as well? I would really like to know if I can (or shouldn’t) push myself as hard as I used to. And I don’t know if my Cardiologist follows the same guidlines, but I don’t think he’s under the impression that I’m any kind of athlete either. What he did say is there are no signs of stenosis, and my heart looks very strong. That’s about as specific as he got. Thank you sincerely for your time and information. Hope to hear back soon. PS – I am really interested to know if HIIT is too intense a system of exercise for people with BAV. Current guidelines suggest no restrictions on activity for athletes with BAV who have no stenosis/regurgitation and who have a normal sized aorta. Don’t see why HIIT should be excluded. Measurements of aortic diameter can be made with echocardiogram. CT or MRI may be more accurate. If echo shows a normal size, that’s probably okay. The value of CT/MRI comes when a millimeter or two makes a difference in treatment, restrictions, surgery, etc. Thank you very much for writing such a thorough and well informed article. My 25 year old son was just diagnosed with BAV AR (3+). His aorta is lightly enlarged. We have decided to wait and watch. He will be rechecked with an echo, BNP blood test & MRI every 6 months. My son will seek a repair when his conditions deteriorate. It is unclear however if there are cardio thoracic surgeons who perform minimally evasive repairs yet. Can you advise and or recommend a specialist? Thanks for sharing your son’s story with BAV. There are many surgical options depending upon the particular circumstances. I can’t do that justice here. That’s an issue to pursue with your son’s doctor(s). If you haven’t yet seen a surgeon, perhaps a visit would all wan opportunity to talk about these issues, even if operation is not yet needed. Make no mistake, though. No operation to replace/repair the aortic valve and yo replace the ascending aorta is “minimally invasive.” That’s just a marketing gimmick. This would be a major operation….and would certainly be “invasive” regardless of the particulars. Im a 29yo CrossFit addicted man who just found out I have BAV while applying for the defence force here in Australia. I cant imagine life without CrossFit, but I wont be able to continue will I? What activities can I do? running? swimming? ANYTHING other than walking and golf? Will surgery mean I can do more or less training? Sounds like you’re on the right track with your upcoming visit with a specialist. The important considerations in athletes with BAV are the degree of regurgitation of the valve and the degree of enlargement of the aorta. Both are important in deciding if and when operation is needed. More difficult questions relate to what are acceptable sports/exercise if operation is not (yet) needed. Advice in this area must be individualized with your doctor(s). Finally, many patients are able to return to their sports after successful operation. So I saw an incredible surgeon and we are going for the Ross Procedure in Feb. Now that we know the type of surgery does this improve my chances or one day returning the CrossFit addicted life I miss? Glad to hear that you’ve found a surgeon and settled on a plan. I’m not aware of studies explicitly about athletes after Ross procedure for BAV. Over time, these patients need to be monitored for continued proper function of both the pulmonary valve (that was borrowed) and the new substitute for the pulmonary valve. You could probably settle on a plan for return to exercise with your surgeon and cardiologist. which seems to suggest that he has returned successfully to the sport. I don’t know anything about crossfit but I see his times are average on that page. Hi. How are you? Do you opration? Replacement? I am a marathoner with BAV and no other cardiac issues. I am followed every 2 years. I have repeatedly asked each follow up, if continued marathon training is OK. I’m always told it is fine – with the old adage of ‘listening to your body’. Problem is, I’m getting older (52) now and I’m wondering the effect age, and should I be asking for more frequent followups. Also, my next appointment is, unfortunately the week after my next marathon (which I will be pacing and not racing). Would this have any affect on any of the results of the tests I have done (Echo, EKG, Chest Xray)? I otherwise feel very healthy, other than (I think) normal slowing down that comes with age. Thank you for this blog! It is very informative. There have been reports of lingering effects (decreased function of the left or right ventricles) for several days after marathon runs. It’s conceivable that an echocardiogram a week afterwards could be abnormal simply because of the race. Seems unlikely to me that there would be lingering effects that would make an EKG or chest x-ray abnormal. Best to mention your participation in the marathon when you have the tests done. I have recently found out that I have aortic regurgitation will soon be needing surgery. I have been doing as much research as possible on what are the advantages/disadvantages of each replacement. I am an having trouble seeing the difference in the ross procedure and the bioprospthetic valve replacement as far as benefits go? I am a 36 yo male who was first diagnosed with BAV at the age of 17. I am healthy, strong, and active. I do not feel any of the effect of my condition when I run or workout. I have been checked by echo/CT every year for the last 7 years to monitor the progress of my valve regergitation and aortic aneurism. There has been a slight increase in the measurements over the last several years, but I am still below the threshold which would require surgical intervention. At my last evaluation, my aorta measured between 4.3-4.5 cm, depending on where the measurement was taken, and the regergitation was classified in the moderate range. In addition, the Left ventrical has slowly increased over this same time period from 5.87 to 6.6 cm. My cardiologist has advised me to avoid high impact activities such as weight lifting and endurance training. This has caused me a great deal of anxiety because I feel like I am being told to act like an old man before my time. Given my age and activity level, do you think it would be beneficial, or even prudent, to explore a valve repair surgery as you described above? In short, is it too early for me to start talking to a surgeon to identify available options? Consensus guidelines suggest that (athlete) patients with BAV and moderate enlargement of the ascending aorta should curtail their strenuous static (eg, weight-lifting) and endurance sporting activities because of the risk of aortic rupture or dissection. This can be very frustrating to athletes who are used to being more active. Enlargement of the left ventricle can be an indication that the heart suffers from the aortic regurgitation, even if the regurgitation doesn’t produce symptoms like shortness of breath. And slow enlargement of the aorta is common for patients with BAV. You already have a cardiologist looking after you. He/she can talk with you about the generalities of operation in your circumstance. You’re right, though. Perhaps a cardiac surgeon would be able to provide even more detailed information about things like various options for operation that might be applicable in your case as well as thoughts about when operation should be performed. It’s probably not possible to have too much information as you think about your situation. looking forward for healthy life without surgery any possibilities??? Sounds like you’re on the right track by getting things evaluated. Many people in your situation will eventually need operation for replacement of the valve or the aorta, but we’d need a crystal ball to know about the future. Periodic re-evaluation with echocardiogram and/or CT scanning is used for most patients in this circumstance. In the blog post, I talked about the circumstances when operation is needed….as well as when sports are generally safe. Best for athletes like you to have a discussion with their doctor(s) and settle on a defined, mutually acceptable course of action about which sports activities are safe. Can you direct us to ANY research on the effect of endurance sports on AVR patients? I’m a 57 year old male who had aorta repair and porcine valve surgery 3 years ago. My family is pressuring me to quit strenuous cycling but I am thinking that switching to longer rides at lower heart rates would not accelerate valve wear or otherwise be bad for me. Unfortunately, I really can’t point you to such studies. It would be great to know what happens to groups of patients after AVR and aortic replacement that have returned to their various sports. I certainly know runners, cyclists, and triathletes in that circumstance who are active and doing well. For athletes who return to sport after AVR and aortic replacement, it’s important to settle on “what’s safe” with your doctor(s) ahead of time. And, of course, it’s important to monitor over time the function of the prosthetic aortic valve and the size of the aorta. Very often, follow-up CT scans and echocardiograms are needed every 6-12 months to keep track. I’m a 51 year old male who had aortic repair (5.8 cm) and bovine valve replacement AVR surgery 2 years ago. I too am looking for information on effects to performance since I am a Masters racing cyclist with 25 years of racing/riding long events. Post 2 years and I’ve yet to get back to my high level of racing fitness and wanted to see what should be expected. I feel like my HR takes longer to warm up and recovery after races is longer. Thanks for sharing your experience, Randy. I don’t doubt there is variability in recovery among athletes who have operation for AVR and aortic replacement. My son is a very active and healthy 14 year old. That is except for the last two months he’s had several illnesses ( influenza, bronchitis, URI). I was concerned about his cough last weekend so I was assessing his lungs with my stethoscope when I heard a very pronounced diastolic murmur at his 3rd ICS. He seen our family doctor that week who confirmed the murmur. EKG and echocardiogram were done showing BAVD. He has stenosis and moderate regurgitation. I do not know aorta measurements. His only complaint or change is shortness of breath with stairs. His doctor recommended he see a pediatric cardiologist within 1-2 weeks but when I called they can’t get him in until April 14th. I have a call in to his doctor but what do you think? Okay to wait? Push for earlier date? Seek different pediatric cardiologist/hospital (we have not seen a cardiologist yet)? His favorite sports are football and baseball. If he is a candidate for valve replacement are these sports he could ever return to… In the best case scenario? I have been factual with him and told him worst case scenario is he is done with both and have pushed him to see the positives of exploring other things to do. I just need to know if these sports are a possibility (i’m pretty sure football is a no given its contact nature). Thanks for sharing your son’s story. From your reading, or even just here at the blog, you’ll know that it’s not an unusual story. I realize that appointment availability for medical specialists–in your case, the pediatric cardiologist–can be tight. Very often, the specialist’s office will make note of the patient’s problem and make appropriate decisions about whether routine or urgent appointment scheduling is needed. I wouldn’t hesitate to register your concern with your son’s doctor about waiting a few weeks. Perhaps the doctor could contact the specialist and request an earlier appointment, if that made sense. There are a lot of variables here, even from the short story you’ve shared. How severe are the problems? Is operation needed? There are certainly athletes who’ve returned to their sports after valve (and aorta) repair/replacement. The issues of when, how, what sports are safe, etc. will need careful consideration by your physicians who know all of the pertinent details. From your standpoint (and your son’s), it will be important to have that dialog to sort out what’s safe. I wish you both all the best. The readers here would love to hear back from you as you work through this. Thank you so much for your reply. Since my initial post i decided to call another pediatric cardiology hospital in our state, University of Michigan Pediatric Cardiology. They are able to see my son this Friday, which i am much more comfortable with! I have also spoken with Boston Childrens Hospital who have been very helpful and enlightening. I will update you all after his Friday appointment. Again, thank you and bless you for taking the time to talk with us here! Thanks for the very insightful post, and for taking the time to reply to everyone here. I have recently had CT scan and MRI scan, following some chest pain experienced on track while doing marathon training. “Moderately dilated aortic root (max 46mm), mild ascending aortic dilatation. Functionally bicuspid aortic valve (type 1). Normal biventricular size and function, no scar. (liver cysts noted). The aortic root is moderately dilated (max 46mm sinus to opposite commissure – but you can measure 48off axis). The ST junction and ascending aorta are mildly dilated max 35mm. The rest of the aorta is normal (visualized to just above the bifurcation in the abdomen)”. So unfortunately it sounds like i am part of that grey area. I guess my marathon training is officially over, but i hope that i still keep doing some sport and i don’t mean bowling, no offense for who practice it ;). I have appointment with a cardiologist on Friday but in the meantime i would like to know weather in case of surgery a replacement of the valve is definitely necessary or my condition still allows some options for a surgery without replacement. Aortic valve repair is sometimes possible. Replacement is much, much more common. It will probably take a visit with a surgeon (who has all of the pertinent details) to outline the possibilities for you. My cardiologist (London Heart Hospital) gave me green light to moderate sport activities (no marathon and weight lifting). Also suggested taking low dose of beta-blockers although I have been told the effectiveness has not been proven. Would you recommend taking beta-blockers at this stage? I am 31 years old and had my BAV repaired at The Cleveland Clinic in 1999 when I was 15. I then played football my last two years of high school as well as playing hockey and throwing shot put for the track team. I continued playing hockey routinely until I was in my late twenties. While I no longer due very strenuous activities, I still play softball, golf, kayak, ski, and do play hockey every now and again. While I do not “work out” regularly, my job as a construction worker is somewhat strenuous. I am now down to seeing my doctors every 3 years or so and have been doing very well. I have not had any issues since my surgery. While I do expect to have a replacement done later in life, the repair was the best decision I could have made. It has allowed me to do the thing I enjoy doing in life. So it is very possible to continue athletic activities after surgery. I was diagnosed with BAV, with regurgitation, no stenosis, at age 63. I was training for 11th marathon at the time (over the past 13 years). I suspect it had been leaking for a long time, as I felt no different; however, my recovery from long runs took longer than in the past (old age?). Diagnosis was made because pulse dropped to 30 (normally 52), and pacemaker was thought to be needed (no symptoms other than low pulse for a few days). I am now in no man’s land of not needing immediate surgery (per the pressure number in left ventricle) and not being able to run more than 30 min. Eventually I will need valve replacement. What are my chances of being able to go back to marathon running after surgery? Doc says no problem, but that seems to be contrary to what I see here. Thanks. Many endurance athletes are able to return to their sports after operation for BAV. I had AVR 3 years and 4 months ago. I am riding my 3 rd anual Belgian Waffle Ride today. 140 miles at race pace. Kinda like a marathon but it will take me at least 9 hours. Get on with it. Hi Larry, thanks for doing this website, I wish there were more like it. I have found in my case( an athlete with bav)the typical response from doctors is, “that’s life, you can’t do it anymore, be grateful for what you have”. I know what they’re saying and after that I know that I have mixed feelings because I feel depressed about not being active like I used to be, but then I feel selfish as I am not being grateful. I had surgery when I was 10 years old to replace my bav with a St.jude mechanical valve. I had a good childhood being very active in sports and physical activity, I had just had to watch out for contact due to warfarin. Now at 33 years of age the valve is 23 years old and has served me very well. The problem is I have developed an aneurysm on my ascending aorta of 44mm. I don’t know why this formed as I have had the problem valve replaced many years ago. I was to the understanding that the aneurysms caused in bav patients was due to the problematic bav valve causing uneven blood flow to cause uneven pressure on the aorta. I seen my cardiologist yesterday and this is the first year in 4 years that the aneurysm hasn’t grown a mm. She says now it is stable and I don’t have to see her for 2 years. I can’t lift over 40lbs and I can’t continue my work as a tradesman as it requires lifting over the 40lb mark. I lifted weights for many years and spent almost all my life in physically demanding jobs. I asked her when I get my valve replaced(it will have to be replaced sometime in the future) will they repair my aneurysm and to my surprise she said no. They won’t repair my aneurysm unless it was 55mm during surgery or 60mm before surgery. I was shocked. I would like nothing more than to have this repaired so I can return to my lifestyle, I can’t understand why I can’t have it fixed as it is my choice to have surgery. It is very frustrating as my doctor would prefer to see me live the rest of my life with restrctions and have the aneurysm stabilized rather than take a chance on surgery and possibly returning to my normal lifestyle. I am young with many years ahead, I don’t want to accept this just yet when I know they’re is possibilty of repair. What should I do ? Very much appreciate this site, thanks Larry for giving people like us a place to voice our concerns ! The exact cause of aortic enlargement in patients is not known. Like you mention, one theory is related to the aortic blood flow. The other theory is that there is a structural problem that leaves the aortic wall weak. The issues related to repeat aortic valve surgery, with or without replacement of the aorta, are complicated. Have you considered meeting with a heart surgeon to talk about the situation? My surgeon says that the aneurism and bav go together. Maybe a gene–who knows. Anyway, talk to a surgeon who understands quality of life means. My surgeon basically said, “Let’s get you back to living your life.” Cardiologists always say take it easy. Thank you for the blog that addresses the athlete’s point of view, and feelings. As I restart my resistance (weight training) program what should be my upper limit weights? As I have aged I have upped the reps to 15 or more and two or three sets max, sometimes doing a set or two of 5 reps with heavier weights. After a 6 month ramp up, will the Porcene valve take the stress of the 5 rep sets? For many patients, I recommend no heavy lifting (>10 pounds) for the first month after conventional heart surgery. After that, most patients can gradually return to activities that put stress on the sternum and upper extremities. Weight-lifting is only one example, but others would include golf, bowling, shooting, etc. Most patients can resume all of these activities by 2-3 months after operation. Consult your doctor to see if there are any restrictions that would be specific to your case. For patients with bioprosthetic valves after heart valve surgery, the valve itself is not usually affected by weight-lifting activities. I was wondering if you could give your opinion on my scenario. I’m a 30 yr old male, training 5 times a week rowing and strength training. I had a ventricle septum defect patched up shortly after birth with no further follow up and a full recovery. After 5 years of amateur competitive rowing, I had no problems keeping up with my peers whilst training at lower intensities. However, I always performed poorly when it came to the ‘top end’ fitness tests e.g. 2k erg test. This has been true as long as I can remember in all sports – I seem to have to put a lot more in to get the same out as others. I started experiencing palpitations last year along with several instances of light-headedness. Also I seemed to get quite sweaty the following hours after a hard training session. This was during a 12 week intense training block where my resting heart rate got as low as 42 bpm. After an MRI, I’ve been diagnosed with BAV and mild aortic coarctation. Also hypertension in both arms. Something they suspect is also from birth but never previously picked up. I’ve been told by my cardiologist that they think I should “probably” avoid competitive rowing and weight lifting. They included a web link to the European medical guidelines. This almost seems like an ‘off the shelf’ answer and I’d therefore be really keen to find out your thoughts? I’m due to have an exercise tolerance test soon, but from my dealings so far I’ve lost faith in the level of competence of my current cardiologist. They seem very busy and it’s taken almost a year to get to this stage. – what would your advice be for training & competing? Many athletes with bicuspid aortic valve (BAV) may continue to participate in their sports….provided there are no other problems, either with the aortic valve or nearby aorta. This also assumes that there are no other cardiac issues or medical problems to consider. The pertinent questions for your cardiologist is whether there is any stenosis (narrowing) or regurgitation (leakage) of the aortic valve and whether the size (diameter) of the nearby aorta is normal. Together, you should be able to settle on what sports activities will be safe based on those facts. In addition to the European guidelines, there is also an American set of guidelines published in the Proceedings of the 36th Bethesda Conference. There is a readable section related to BAV. Coarctation of the aorta is a narrowing that may produce an increase in the blood pressure in the upper extremities. The worse the narrowing, the greater will be the difference in blood pressure between the arms and the legs. Arrhythmias may sometimes manifest many years after surgical repair of congenital heart defects. You should discuss this possibility with your doctor(s). In some cases a particular arrhythmia that is responsible for your feelings of palpitations or light-headedness could be identified….and options for treatment could be presented. I’m less certain about how BAV, coarctation, and history of VSD repair might impact one’s current top-end performance. Thanks very much for this Dr, it is really helpful to get someone else’s opinion on the subject and I’ll definitely raise those points with my cardiologist next time we meet. I had an exercise tolerance test recently and they seemed happy with my results so fingers crossed that’s a good indication I can carry on training hard! Dr. Larry, thank you very much for your blog! It’s very helpful for people with heart problems. Some information about myself: I’m 28, 186 cm, 77 kg, max pulse 194, rest – 50 bpm, live in Russia. Got rheumatic heart disease in my childhood and now have fibrosis of the aortic valve with regurgitation (1-2), mitral valve prolapse with regurgitation (1-2) and tricuspid valve regurgitation (1). 1 year ago I gave up smoking and started endurance running. Since then I completed several 10k races and one half-marathon. My average weekly training plan includes 50k of running (5 days) with 80% done on pulse below 154-152 and only 20% done at pulse about 175-179 bpm. Also twice a week I try to do 40-minute workouts like planks, pushups and so on (with my bodyweight). – Left Ventricular Mass (LV mass/BSA 93g/m2| 114 g/m2, Septal thickness 0.93 cm|1.0-1.1 cm, Posterior wall thickness 0.93 cm|1.0 cm). Since I started running, I lost about 8 kg, my blood pressure decreased from 140/90 to 120/80-70. The doctor looked at the results and told me to limit physical activity (running), because it can lead to heart failure in future. Could he be over-cautious? Because it was just a cardiologist, not a sports cardiologist or physiotherapist. Could the changes in my LV be the result of the physiological, not the pathological change? Or it’s the result of the cumulative effect of the aortic and mitral valve leakage? Next year I would like to finish my first marathon but now I don’t know whether I should keep running. Could you express your opinion on this issue? First, I’d encourage you to follow your doctor’s advice. Your doctor will be in the best position to know all of the relevant information and offer sound advice. As you’ve mentioned, sometimes it can be useful to visit a cardiologist who has an interest in athletes and their heart problems. Perhaps you could organize such a visit for a 2nd opinion regarding safe levels of exercise? Ordinarily, athlete patients with mild degrees of valve regurgitation can continue to participate in their sports. Oh, thanks a lot for the advice! Dear Dr Creswell – you seem to be such a kind cardiac surgeon to make yourself available in answering questions. Very helpful. I’m 32 years old and back in 09 I discovered I have a BAV. BAV only has mild regurgitation. However my Sinus of valsalva is dilated between 45-47mm (depending on the machine used). And during the years, this remained pretty stable. Sometimes my cardiologist says there is minimal change and he thinks my aorta had slightly enlarged by 1-2mm. Ascending aorta is normal and so the rest. My cardiologist is not concerned. He told me to carry on as normal and to take 300mg Irbesartan per day. I’m obviously quite anxious that I’ll drop death! ( I was much worse though). 2. If I ever need surgery to replace my root , I understand that there is an element of complexity for such surgery, but after surgery, is life expectancy for individuals assumed to be shortened at all ? Or usually lead a normal life? I am concerned about removing the coronary arteries and re attaching them again etc. I like to thank you in advance for reviewing my question and also, thank you for such a great blog. You have a good understanding of the issues. Answers to your questions…. 1. Yes, moderate aortic root dilation can remain stable. We don’t have a crystal ball, though. The only prudent course is to have periodic follow-up imaging to keep track of size/growth. 2. Contemporary reports suggest that life expectancy with BAV is no different from the general population. Many patients with surgery for BAV, even if it involves aortic root replacement, lead rather normal lives afterwards. Perhaps meeting with a heart surgeon now, even if operation is not yet needed, might provide a forum for discussion about the options for surgery, the technical issues, and recovery. For some reason I did not receive a notification of your reply, so apologies that I haven’t thanked you before. I would like to thank you very much for providing me with your thoughts. Really helpful. Thank you so much for all of this insightful information. When first diagnosed with BAV I just nodded and smiled – it was only the following day that reality hit home and I thought of all of the questions that I would have liked to have asked the cardiologist! My primary question relates to sports. I love running. I have been advised not to run any more marathons or half-marathons, but that I can still compete at up to 10km races. I have also been advised that running intervals at over 80% max heart rate would not be sensible. However, my problem is that if I can train at this pace then I can still run – but I certainly can’t compete! I am perfectly happy to stick to the 10km max distance for races, but my key concern is that if I do run some faster training sessions then I might have a sudden death. Can BAV cause sudden death incidents in otherwise healthy 40 year old males? Or is the real risk related to further deterioration of the heart in the longer term that would be picked up by 6 monthly monitoring, which may indicate the need for surgery but not an immediate risk of dying suddenly? Many thanks again for answering this. I have 5 children, so I don’t want to drop dead and leave my poor wife with them all to look after on her own. However, I absolutely love being competitive at running, and don’t want to jeopardize that either. I wouldn’t be happy just running – I want to be the best that I can be at it. Probably wise to follow the advice of your doctors who know the details of your situation. There is a risk of sudden death in individuals with BAV, probably related most to aortic stenosis or aortic dissection/rupture. We use surveillance (you mention every 6 months) because usually problems with progressive enlargement of the aorta or with the valve itself can be picked up before there is any lasting harm. Your doctors will be in the best position to offer advice because they will be most familiar with your case. That said, guidelines from the 36th Bethesda Conference suggest that BAV, without enlargement of the nearby aorta or problems with the aortic valve, shouldn’t preclude any sports activities….including weight lifting. My son is 15 years old, he was born with BAV /aortic stenosis. He had a mild BAV and was told that he can play with no restriction. And I took him for check up every year and nothing change and he never had any symptoms. Last i took him for the check up and everything is still the same but they said now the guidelines has changed and he is on the borderline of Mild to Moderate which will move him to restricted activities. His doctor said his heart look very healthy and no other issues. And he never had any symptoms and played competitive soccer since he was 6. His cardiologist said, i am sure he can play a full game with new issues but I have to go with new guidelines and indirectly left it up to me to make the decision which moved him to mild /moderate and put right at the Borderline. This have affected my son psychologically since he loves playing soccer what should I do. Any advice would be greatly appreciated. I think you understand the guidelines correctly. Activities are not usually restricted for athlete patients with mild aortic stenosis. For those with moderate aortic stenosis, the guidelines suggest restricting activities. Obviously, “mild to moderate” would be somewhere in between. And judgment would be needed. Your son’s cardiologist would seem to be in the best position to offer specific advice. Hi . I am 18 years old . I have bav with mild dilation of aorta 39mm. I am 6ft 3 . I am playing basketball I am doing 100m and 200m and swimming . Also I lift weights . I am big for my age . I am wondering because I know that weighlifting with bav isn’t so good … I feel terrible because i lov weightlifting and I have build a body that is so difficult for a 18 years old. Before 2 years my aorta was 37mm . I don’t know what to do .. I want to continue weightlifting .. what is your opinion about this ? New guidelines from the American College of Cardiology (ACC) were published just this week. For most athletes with only mild enlargement of the aorta and no problems with the aortic valve, there should be no activity restrictions. A different set of. Onside rations would be needed for hose with Marfan’s syndrome or other diseases of the aorta. I have severe aortic stenosis with no signs or symptoms. I know I will need it replaced. I am 51 and leaning towards a tissue valve because of my activities and that I am a firefighter. What is the average life span of a tissue valve? I can not be on anticoagulant medications on the fire department. That’s the main reason for choosing a tissue valve in my case. I have 6 years to go to retirement at the very least. Thoughts. We expect the current generation tissue valve to last at least 12-15 years before problems. I’m 53. If I had to choose a valve for AVR, I’d choose a tissue valve. My son will be 16 next month. When he was 7 we noticed his heart racing at age 11 his bicuspid aortic valve was diagnosed We have been told his valve is at the top of the normal size chart. He sees his cardiologist every year. This year he was told he couldn’t do heavy lifting but all other sports are still ok. My son seems to sprain his ankles or have other injuries often that last longer than others kids, I also played sports and had injuries but they never lasted as long as his do. Is this a normal side effect of the heart condition or not? I’m not sure how those two problems would be related. Thanks for the enlightening article. I am 38 and very active (running, cycling, strength training etc). About a year ago a pulmonologist discovered a grade 2/6 heart murmur during a workup for a sleep study. After an echo and an MRI with and without contrast, I found out that I have a BAV with mild aortic and pulmonic valve regurgitation. Apparently I also have a mildly enlarged IVC as well as mildly enlarged left and right atria. I knew none of this until a year ago. That said I have a resting HR of ~40 (always have). My cardiologist (whom I trust) said to keep working out like I always have (good news for me). Anyway, I just wanted to say I found this article particularly informative. The only question I have is in regards to having my children screened. I know they really should get checked, and they will. However, is there any advantage to having them screen in their first decade of life, if they are not showing any symptoms? Or, is it something that can wait until they get sports physicals in their teens? Thanks for the article! The risk of BAV in children of parents with BAV is probably about 10%. Given that risk, the current American guidelines recommend screening those children with echocardiogram to identify affected children. That said, the recommendations don’t address WHEN that screening should occur. Most children with BAV will remain without symptoms until adulthood. Those with symptoms are usually identified (BECAUSE of those symptoms) in the first year or two of life. When I’ve had patients in your situation, I’ve usually recommended getting the screening when it’s CONVENIENT. I’ve thought that the next visit to the pediatrician would be a good opportunity to discuss the issue. Sadly, most school/sports physical exam programs don’t include echocardiogram….and the absence of a heart murmur in a child wouldn’t preclude the diagnosis. Finally some solid information about exercise and life post AVR, thank you very much for that. I see I’m not alone…. I’m 37 years old male, live in Croatia, 191 cm, 94 kg, very athletic, practicing various sports my whole lifetime. 5 months ago was diagnosed with severe AR and 5 cm long aneurism (root 3.0 cm, sinusi valsave 4.3cm, ST 3.6cm, ascending aorta 3.6cm) on regular yearly checkout, with no syptoms. I got Edwards magna perimount 25mm bovine AV and Valsava graft for aortic root replacement. Now, five months after surgery I’m gradually returning to sport with 5km runs and kettlebell routine, push ups and pull ups (still feeling pressure in breast bone) no heavy lifting. While my surgeon said that I can do whatever normal healthy person would do my cardiologist gave me some restrictions basically not to raise my HR over 120. My resting HR is 60-70 BP 110-70, according to doctors have no tissue problems, never had hypertension and was told that I was born with weak threskupid valve. I can’t imagine life without activity, but I’m not fool to risk my life, not any more anyway :). I have wife and two small boys, I wanna live to see my grandchildren. Can you tell me what is to much, are push ups or pull ups heavy lifting, is 3 time per week 5 km running with 10-12 km/h pace to much? Those figures are funny to me because before I was doing three or four times more intense training beside my job (air force pilot). I’m aware that those days are past, but to abandon every activity seems like a prison sentence… What is safe side threshold? I’ve seen several cardiologist and they are divided in recommendations. And my wife is screaming at me every time I try to exercise :)). She is afraid, I can understand that. Any guidelines? Glad to hear that you’re recovering, Zdenko. The issue of how much (& what types of) exercise after surgery is difficult because we don’t have good studies (& evidence) upon which to base recommendations. A HR limit of 120 will be tough, I would guess. Easy bicycling might work, but I suspect that running won’t be workable with that cap. I certainly know of athletes who return to all forms of endurance sport as well as weight-lifting after operations like yours. But that’s just anecdote. Without careful study, I don’t know what the true risks will be. Perhaps the best course of action might be to start off very conservative with exercise, as you are doing, with periodic assessment of the aortic valve and aorta with echo and CT. You might then gradually increase the activity and monitor for any bad signs with the periodic echos and CT’s. Thank you very much for your answer. As I mentioned in previous comment my recovery is going great. It’s now 8 months after surgery and I’m pretty much back in my every day life, was even granted to attend my pilot medical tests which are due in 2 weeks. My cardiologist gave me green light for everything except strenuous exercise (used to train for ironman and similar challenges). This blog helped me a lot in my ”panic days”, it put me at ease when I was worrying to much, just to see and to know your ”enemy” and to realize that you are not alone is great help. I have just one thing bothering me, and that is healing of tissue surrounding heart and also chest muscles, nerves and so on. I used to be very muscular prior surgery and 3 mounts ago I started with 5 km runs, push ups and pull ups 3 days a week, slowly progressing. I’m keeping my heart rate below 150, 160 at most but just for short period of time. Last few weeks I’m getting chest pain on left side (very rarely on right side) while running and doing push ups. It’s really not strenuous, maybe 10 km/h and not more that 10 push ups at once. I can’t distinguish if its muscle pain or somewhere inside chest, it’s not sharp or dull, somewhere in between. Most probably not pericarditis cause I had it once so I know that pain type, but again, maybe it’s some other type. Sometimes it comes even when not exercising. I’m guessing that my muscles are building up again and since everything was messed up, especially on left side, maybe some scar tissue or damaged nerves are coming up. It’s not around incision, it’s mainly middle of left side. I made appointment with my cardio, to clear that up, don’t worry :). Do you have any info or recommendations about this? I know that there can be complication with Dacron graft or even aorta aneurysm building up but I’ll stay on positive side since I have no tissue disorder and its highly unlikely that with properly working aortic valve I would develop another one in that short period of time. But I’ll check it as soon as possible. Thanks in advance. Thanks for sharing an update. Good to hear that you’re doing well. Like you point out, it’s always wise to be vigilant after surgery for things that might be amiss….and get checked out. There can be issues with aches and pains even months after operation that still relate to healing. I have a 15 year old son with a BAV, Aortic stenosis, Noderate regurgitation and dilatation of his ascending aorta. We see his pediatric cardiologist every 6 months. We just saw them in January. At this appointment she advised that there has been some progression in his regurgitation and she did a stress test on him which did not show any concerns and hey was a ble to do it for almost 12 minutes. She advised us we should start to consider surgery but would follow up with us again in 3 months. She said it could still be 6 months to a year just depending on if there are any more changes to this next echo. Hey has been physically active with restrictions of no contact sports, and no isometric exercise. Hey is a frustrated guy. Hey would like to continue to be active but is worried about which procedure would be best for him. We briefly talked about the Ross procedure vs mechanical valve replacement. Any words you have for us would be greatly appreciated. The Ross procedure “borrows” your son’s pulmonary valve and uses it to replace his aortic valve and aorta. A cadaver if valve is then used to replace his pulmonary valve. Benefits: no blood thinning (with attendant risks) needed. Down side: durability–the borrowed valve doesn’t last forever; it will deteriorate and need re-replacement at some point. The mechanical valve conduit replaces the valve with a mechanical valve and the aorta with a Dacron fabric tube. Benefits: long-term durability. Down side: must take blood thinners to prevent blood clots from forming on mechanical valve. Body contact sports may pose some danger to athlete patients who take blood thinners. Another possibility that you haven’t mentioned deserves some discussion with your son’s doctor(s) or surgeon. In some cases, the aortic valve can be repaired and the enlarged aorta can be replaced with a Dacron tube. There are several variations of this procedure that are applicable in specific situations. These operations can sometimes enjoy the benefits of each of the operations you mentioned….and avoid done of the down sides. Good luck getting things sorted out. We don’t know what to do. My son is desperate to be able to play sports without any restrictions. He wants to be “normal”. It doesn’t’ help that I am a nurse. I can’t think like a nurse where hey is concerned. Hey is almost looking forward to getting it fixed. The cardiologist doesn’t’ do the surgery we have to go to another province to have surgery. It was a shock to the system to Hear that we need to consider a repair considering we didn’t’t think this was happened until hey was an adult. Thanks for the info…I really appreciate what you,have to say. Hi, Further to this most recent discussion point – I was advised that isometric exercises, such as planks and other pilates type activities, as I understand them, are perfectly safe with BAV. I was also advised that it is really the static weight-lifting that could pose a problem. Is this the case? Your advice is always invaluable and most appreciated. Thanks! Can you clarify what may not be true please? Is strength training that involves only using one’s own body weight ok with mild BAV issues, or is all strength training out? My cardiologist has advised that while marathon running is out, shorter runs (up to 6-8 miles) and pilates are both fine for now. Thanks very much. Bobbie. I agree that your doctor(s) are in the best position to offer advice regarding safe exercise based upon your particular circumstances. I would not want yo distinguish between the various forms of “static” exercise that you mention. I don’t believe there is any evidence that would help us know if some forms are safer than others. Lastly, I’d say that BAV alone–without leakage or narrowing of the aortic valve, and without enlargement of the nearby aorta–would not preclude sports activities of any sort. But for those WITH such problems, we do recommend curtailing either “static” or “dynamic” activities, or both. Glad I’ve found this website! My 28, got a BAV with mild stenosis and a aortic root measuring 40mm. I’ve recently joined the gym to get fit an toned up but I can’t get a clear answer from the cardiologist of what weights I can’t actually do at the gym. I’m doing cardio as they said that’s fine and I was lifting free weights tonight of 10kg. Would this constitute as too much in your opinion ? All they said is don’t really do weight where you can feel the strain in your neck ?!? I’m hoping you can help with some guidance. I would pose these questions to your doctor(s) since they are most familiar with the details of your situation. Be specific. In general, we recommend no weight lifting in patients with BAV if the aortic diameter is greater than 4.0 cm. For those same patients, we recommending avoiding strenuous “dynamic” exercise line swimming, running, soccer, tennis, cross-country skiing, etc. What a great resource! My son was diagnosed with BAV, by chance, when he was 7. No stenosis or regurgitation, aorta 27 mm at the time. Fast forward, he is now 13 and we went yesterday for his yearly. Still no stenosis or regurgitation, aorta now 35 mm, he is 6 ft, 150 pounds. Anyway, his aorta was growing at a rate of 2 mm per year (he was growing faster…:)….and they put him on 100 mg Losartan. (Have you heard of the studies by Dr. Dietz?) Anyway, it has slowed to 1 mm per year, and, via email, Dr. Dietz has suggested we may consider a switch to 300 mg Libersartan? Apparently this can work better than Losartan? I am wondering if you know anything about these drugs and how they can impact aortic growth? Also, again, no stenosis or regurgitation, 35 mm ascending aorta. Only restrictions are no weights greater than 100 pounds or heavy contact sports. My son is a baseball player, so that is good. Does lifting weights up to 100 pounds and being cleared for push-ups, pull-ups, all cardio, etc., sound reasonable? Just double checking. Thank you! Yes, I am aware of the work by Dr. Dietz. He is certainly expert in the area of drug therapy to reduce the rate of aortic enlargement. I would defer to Dr. Dietz since you’ve already contacted him. I understand that we are only beginning to learn about the use of ARB’s in patients who DO NOT have connective tissue disorders like Marfan’s syndrome. I don’t know about the relative effectiveness of various ARB’s used for this purpose. I don’t believe this has been well studied. Regarding activity restrictions, you would do best to rely on the advice of your son’s doctor(s) who will be in the best position to know the relevant specifics. Again, this is a topic that is not yet well-researched. Advice here will be based on opinion rather than accumulated evidence in large numbers of children with BAV. Thanks for my previous response a few weeks ago. I’ve got my results from my recent echo and a lot of ‘normals’ on there but main things were regurgitation and stenosis were mild with the aorta measuring about 33mm. I’ve starting going to the gym again and doing cardio with weights to tone up. The free weights are about 10kg and I’m not doing any really heavy weights. It’s a lot harder in the UK to see your cardiologist so you can’t get the answers quickly. Do you think the weights I’m doing at the moment seem OK with those results ? Guidelines suggest that athletes with BAV, normal size aorta, and no more than mild aortic regurgitation or stenosis can participate in all sports, without restriction….provided that they do not have an inherited connective tissue disorder like Marfan’s’s syndrome. Thanks so much for all this info! I’m wondering if you can advise me. I am a 60 yo female who has been active my whole life. I have completed two marathons. I currently run 40 -50km a week and do two 2 hour intensive yoga sessions a week. I had an echo because of a scuba diving accident and was discovered to have a BAV (no PFO). I have normal aortic size, mildly dilated aortic sinus (39 cm), and trace aortic regurg. My resting pulse is 55 and BP 115/82. Specifically, I’m wondering about inversions like forearm stand, head stand, and hand stand. I suspect (and hope) you will say that the latest recommendations say no restrictions for someone like me but I haven’t seen yoga specifically mentioned. Patients with BAV who have a normal size aorta, with no stenosis or regurgitation of the aortic valve, can participate in sports without restriction. 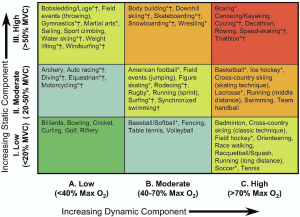 Yoga is not included in the classification of sports that is commonly used, but I suspect that yoga would have low to moderate static and dynamic components. Always best to heed the advice of your doctor(s) who will be in the best position to offer advice about safe forms of exercise. I was physically examined by a medical board at new Delhi for the post of a chemist in geological servey of India but they declared me unfit as I have BAV . Is it right to declared someone having BAV unfit for the post of a chemist? As chemist mostly works in a lab not in the field. I’m not familiar with employment eligibility issues with BAV, even in this country. Perhaps other readers will comment. Hi, my name is Hector and I am 34 years old. I had my AVR almost one year ago. I have an OnX mechanical valve. I like to practice MTB and running competitively in local races. I have been feeling better than before the surgery and I feel with better condition on the trails. My question here is what is the damage I can cause to my heart, mechanical valve, if I keep my heart rate at hi intensity levels? I mean, when competing, my average heart rate is close to 159 and my max HR is around 170. These are the data I got in my last MTB race. Do you think I should slow down a little bit? Is it possible that the valve will get loose? Thank you for your time. We all appreciate it. I’ve never heard about a mechanical aortic valve becoming loose because of high HR. The valve will become healed (scarred) into the surrounding heart tissues with the passage of time. When we go back to re-replace a patient’s prosthetic valve, for some reason, it usually has to be chiseled out from the heart. Perhaps that will provide so e reassurance. Sometimes patients with mechanical aortic valves report that they lose a bit of their top-end athletic performance. Depending upon the size of the prosthetic valve, there is so e “built-in” obstruction to blood flow that is e aggregated during exercise. For athletes with mechanical heart valves, the most important consideration is usually about potential bodily injury while taking blood thinning medications. I’m a 42 year old male and have been a highly competitive distance runner since high school. I ran competively for a division 1 NCAA university through college and have maintained a high level of physical fitness since. I am considered “elite” in my age division. In addition to running, I also perform moderate to high intensity resistance (weight) training 5-6 times per week. In short, I consider myself to be a high level athlete. That is to say, I did up until two months ago. In April of this year (2016), I discovered I had a BAV in the worst manner possible. I had a Type A aortic dissection of the ascending aorta that extended into the descending aorta terminating near the femoral arteries. This was caused by an aneurysm in the ascending aorta (root) that measured over 6 centimeters). A CT scan made the diagnosis. Obviously, I underwent emergency surgery to replace the aortic valve (Medtronic open pivot mechanical valve) and have the aneurysm repaired with a dacron graft. The false lumen extending into the abdominal aorta was left since the point of origin in the ascending aorta was repaired. I feel as though I’m recovering well and, having no other conditions or comorbidities, rapidly. My biggest concern is whether I will be able to return to my previous level of physical activity and level of fitness. The doctors tell me I will be able to run again at a level near to what I’m accustomed to (50-60 miles per week) but are reluctant at this point to specifically tell me the limitations and restrictions I’m to endure. I’m used to long runs up to 12 miles at an average 6 minute per mile pace as well as fast interval and farther training. I inderstand that my resistance training will likely be severely curtailed from this point forward, but severe restrictions on my endurance training will be a very difficult pill to swallow. Based on the information I’ve provided, I would greatly appreciate your advice and opinion on the matter. It sounds like you’re off to a good start with your recovery. Your situation is complicated….and it won’t be possible to give a complete answer here without additional information. There is very little scientific evidence to guide us here. There are simply no reports that describe the experience of athletes returning to EC’er ise (or training) after aortic dissection. Moreover, there is a myriad of operations that such patients may have had, each with its on set of considerations. And lastly, the degree of healing in the remaining (unoperated) aorta probably has a big impact on the potential risk. Athletes in this circumstance should collect opinions from their doctor(s) and make very careful considerations before returning to exercise. If you wont we can share experiences about healing and progress, it’s pretty much same situation. You can see my post above, from 26th of april. You can contact me on zdenkokosutic@yahoo.com. I am a 55 years old male and have BAV. My aortic root is 4.06 cms. and my valve is working quite well (mild aortic regurgitation). I am an amateur runner, I do not participate in competitions. I take bisoprolol (low dose) and my pressure is currently normal . Some cardiologists tell me that I can run up to 130 beats per minute ; others say they’d prefer I do power walking because pressure always rises while running. Thank you for your ideas and I apologize for my gramma errors (English is not my first language). Consensus guidelines suggest restricting activities in athletes with BAV and aortic diameter >4.0 cm. Ordinarily, race walking is considered to be in the same category of activity as long-distance running. The idea of somehow restricting the HR may be attractive as a means of curtailing strenuous activity. Whether 130 beats per minute is a good cut-off truly isn’t known. The notion is to reduce the number of cycles of heart beat x high blood pressure. Interesting situation Sean Miller. I believe that many Cardiologist are not as experienced regarding how to advise high-performing athletes (even older ones like us). I’m 52 years old and had surgery 2.5 years ago to repair an ascending aortic aneurysm (5.8 cm) and aortic tissue valve replacement. I am a cycling Masters racer (Cat 2) for last 25 years . In the 2.5 years from surgery, I returned back to riding within the first 3 months and later back to longer, decent training pace rides and racing but feel like I have lost my top end mojo. I’ve yet to feel like I’m back to my previous racing fitness that I once had. 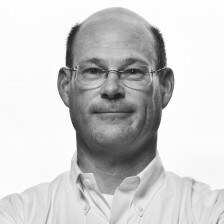 I see in this blog that Dr. C noted: “Compared to our own native valve, all of the available prosthetic substitutes have a small degree of aortic stenosis built in, unfortunately. They all cause a small bit of obstruction to blood flow as it leaves the heart”. I have no proof this may be causing my less than stellar performance or if perhaps I should have more patience. Either way I often think my cardiologist looks at me as if I’m nuts and that my current 175 miles a week training should be thought of as “beyond expectations” post open heart surgery. It’s a hard thing to describe to my cardiologist that my legs and HR are not cooperating when the pace picks up. I think he’s amazed by what I have described for my workouts of 65+ mile rides several times a week. I’ve not found any programs for evaluating “repaired” athletes unless something exist with a physiologist research lab. I feel like 95% of other people my doc sees are just happy to get back to their normal life which doesn’t include pushing their bodies to extreme limits. I too would be interested in talking off-line about what I have experienced or finding docs who have studied more extensively at fine-tuning high performance “engines”. Randy…your situation has many similarities to mine; I would be very interested in sharing experiences. I am a 48yo competitive cyclist who is very concerned with being able to return to my former ability to hit high effort levels following open heart surgery. Seven months ago I had emergency AVR due to a BAV that was severely compromised by endocarditis. While I “recovered” from surgery just fine, my return to my normal activity levels has been hampered by recurring arrhythmias, muscle atrophy during recovery, medication,and general inability to exert myself like I could prior to surgery. Like you, I have been frustrated by the lack of experience and information that the cardiology community has for folks like us, although it is encouraging to read everyone’s posts here and see that we are not alone. I would like to know more about your recovery timeline since you are so much further out from surgery than I am…for instance; how long before you could do long rides again; when could you do tempo efforts; start high heart rate intervals; and finally race again? Athletes with BAV who have no stenosis or regurgitation of the aortic valve AND have no enlargement of the nearby aorta may participate fully in their sports. That would include weightlifting. I would think that “moderate” would be a good term for 8-12 rep range, pullups (unassisted), and pushups. I appreciate your response, thank you for taking the time to write me back. Your responses mean a lot to myself and no doubt others on this forum. Dr. Larry, I do appreciate your insightful article very much. I am a 23 year old male, have BAV with mild AR. My cardiologist tells me that I need to be monitored yearly and that I should exercise without limitation (for cardio) I have symptoms however that include chest pain and shortness of breath and palpitations. My Dr is almost certain that these symptoms are caused by issues that are not cardiac related, and that with at the stage my BAVD is at, it would not produce symptoms. Is this true that you won’t be symptomatic with only mild AR? Also is it possible to never need surgery to replace the valve and that the AR stays stable, or even goes away ? Thank you for your time Dr.! Mild degrees of aortic regurgitation are usually well-tolerated and do not produce symptoms. AR is unlikely to go away. Yes, there are certainly patients with BAV who never need operation. Thank you so much for your clear explanations. It is very difficult to find information regarding the athlete and BAV. My son is 16 years old and his story is very similar to many I read on your blog. Diagnosed at 5 with BAV, checked yearly, and okayed to play soccer. He has mild AS and AR and is otherwise asymptomatic. However, his ascending aorta has been enlarging: 11/27/13 – 31 mm (echo), 6/10/15 – 39 mm (echo), 7/8/16 – 41 mm MRI). His exercise stress test on 8/5/16 was fine. Bethesda Conference reports), even though there is no certain link between sports and the aorta enlargement. For example, his spurt in enlargement happens to coincide with his spurt in growth. Is this a possible explanation? With so many similar stories, do you know why there is not more statistical data or studies done with regards to sports and BAV and changes in aortic diameter? For example, are there data that shows what happens to aortic diameters once sports have been stopped? ps. We have made the decision to stop playing high school soccer and will reevaluate in 6 months to determine about Spring team soccer (less intense). Yes, as the patient grows, so will the aorta….and eventually you get to the traditional >40 mm cutoff where activity restrictions are advised. I agree that it’s somewhat surprising that more detailed information isn’t available. I think we would expect less enlargement over time with stopping strenuous exercise. My daughter (16 y/o) has a St Jude mechanical mitral valve (adult size valve even though she has had it for 7 years). Up until this time she’s played volleyball, basketball and has even run track in elementary. She’s quite the athlete. This year (her junior year) her Cardio doc is saying that she can’t in good conscious clear her for basketball (the sport my daughter LOVES). The doc states that basketball is a contact sport in her medical books and we would need to consult with another doctor to possibly get approval. My daughter has played two years of varsity basketball already. The doc says the big risk is due to the blood thinners. We’ve known the risks and my daughter has done well to avoid scrapping for the ball etc. We also sign a school waiver every year. Thus far she’s had only minor bruising (she’s 6ft and has a solid build). We are trying to work out a way for her to continue to play. Are we being foolish? The issue is how much risk is tolerable. It sounds like you’ve gotten conventional advice regarding sports where there is a risk of bodily injury. With the blood thinning needed for a mechanical valve, serious bleeding may occur with injuries. Your suggestion about a 2nd opinion is a good one. And it’s always valuable to frame up discussion in terms of how much risk is acceptable. My son is 15 and has grown about 4-6 inches in the last year. Hey was born with BAV and moderate regurgitation and stenosis, and dilatation of his ascending aorta. In Jan 2016 My son was seen by the cardiologist and had some changes on his echo and the cardiologist said hey had mild progression of the aortic regurgitation( moderate to severe) with preserved LV function. My son was also complaining of shortness of breath with stairs mild and feels tired more easily. The cardiologist told us at that appointment that we needed to start considering surgery to repair his valve. We were to see them in 3 months. We saw cardio in April again and my sons symptoms are the same and no progression on the aortic regurgitation. We just saw the cardiologist in July and again same symptoms and no significant cardiac changes . This visit we were told it could be a few years before anything needs to be done. We go back in 3 months for another echo. We are wondering is there a science to knowing when he should have the surgery? He loves sports and is wanting to do more and more. He has been restricted from playing contact sports since hey was 10. When you start seeing changes with regurgitation does it progress quickly? How much worse does it have to get before it should be replaced? Last echo measurements LDid 6.3cm z-score 2.4, LVIDs 4.1 cm z-score 2.0, LVPWd 1.2cm z-score 1.9, asc aorta Diam 4.0 cm z-score 5.8. The echo in Jan asc aorta Diam 4.2 cm z-score 6.4. This is the only measurement that has gone down . I do not have July’s echo results yet. Look forward to your reply and thanks for your time. First, a disclaimer….My practice is devoted to adult patients. Your son’s doctors are undoubtedly experts at pediatric patients. Ordinarily, we reserve operation for patients with severe aortic regurgitation who have some decrement in the LV function. That’s probably what the doctors are watching for. I don’t think there’s a way to predict the future in this circumstance. I am 26 yera old , I have aortic aneurisem. All aorta is normal, valvula normal funkcion only sinus valsava 35-37mm. Any person in my family there was no problem with the heart. Im am in stres ?! I’m not sure I have all the answers from afar. Exercise and sports are usually safe if there is mild aortic root enlargement but no other heart or vascular problems. Hi, Fantastic website, there is very little actual information on this on the web. Me, i`m nearly 43, male and have BAV. Diagnosed last year while looking at something else. Aortic root is 4cm and currently waiting for a 6month check up to see how it`s going. Have completed an excercise stress test and signed off as ok on reaching level 13. Currently complete in 5-a-side football and have done for life. Have been told to keep away from exercises that “strain” me, ie heavy weights. Unfortunatly that`s pretty much all the advice i`ve been given so far, so little out there on what i can actively do and what i can`t. While i appreciate you are not my cardiologist and we`ve never met is there anything generic out there that i can look at to gain an idea. Have tried to get a personal trainer that specialises in all things heart related here in the UK but there don`t seem to be any around despite searching. Not sure I have something specific to suggest for additional reading….and I don’t know where to steer you about a knowledgeable trainer in the UK. You’ve got the right idea, though. We generally limit weight-lifting (or other sports/exercise that have a high “static” component) for athlete patients with BAV and mild enlargement of the aorta. Perhaps you could print out the diagram, take it with you to the cardiologist, and ask him/her to circle the forms of exercise that would be safe in your case. I had a scan done recently and they picked up a what they called a ‘mild dilation of the aortic root at 47mm, ascending aorta 34mm, no other issues. I have also had a stress test, which showed no issues at all. I am a competitive cyclist, neither the Cardio or my Doctor said I should not be racing bikes anymore, does that sound reasonable to you, my doc did say to monitor the aortic root size yearly. New guidelines from 2015 are in accord with your doctor’s recommendations about vigorous exercise as well as periodic imaging to measure the aorta. My son at 11 months was diagnosed with BAV. They ruled out Marfans syndrome because his aorta was dilating. He is very athletic. Throughout the years he has played football and basketball. He was very talented at football. Unfortunately his cardiologist took that from him so he focused his energy and talent on basketball. He just turned 15 he is 5’11” 203 lbs and has a heart of gold. His last MRI showed a dilation of 4.4cm at his aorta root but his BAV is fine with very little leakage. My son was just told he made the varsity basketball team as a freshman. His cardiologist said he can’t play. My son is devastated, depressed, and wanted to play ball in college. Is there anything we can do? I asked her about surgery. She said not until it gets to 5cm. I think we should have a choice??? Do we have a choice with him only being 15??? I’m 39 also diagnosed with BAV when I was 31. I have moderate to severe regurgitation and the heart is enlarged as far as I understood. The BAV is monitored annually, the doctor told me that I’m currently in the grey zone but stable since I started the monitoring. Very likely an operation will be needed at some point in the future. The doctor allows me to do “moderate sport” defined by her like “not 20k each day”; 20k per week should be fine. I used to do quite some running 10 years ago (still at amateur level), I was doing lots of 10k and 20k and even I managed a marathon in 3h:26min (but at that time I didn’t know about the BAV). For the last 7-8 years I didn’t do too much sport (kids, family). My question is if my weight&lack of training or my BAV is the cause of difficulty in running. It is quite frustrating, I’m running with some guys that have a hard time believing that I run a marathon. I read most of the posts above and I didn’t find people describing the decrease in performance due to the BAV. Can you please shed some light on this – is the sport performance supposed to gradually diminish (seems to go to zero for me) before the operation is needed? When patients have moderate to severe aortic regurgitation, exercise can often be difficult. The heart has a difficult time coping with extra demands of exercise. The typical symptoms are fatigue or shortness of breath, particularly with exertion. Not only the degree of aortic regurgitation, but also the degree of enlargement of the nearby aorta, should be taken into consideration when settling on limits for exercise. I was training for a marathon when I was 62 years old and diagnosed with BAV with severe regurgitation. I was running 9 to 10 minute miles. I am also in “grey zone” waiting for surgery. My exercise is limited to 30 minutes of moderate carido, with no weights. Over the past 3 years, my endurance has declined significantly, and now I cannot run a lap on the treadmill without some walking; however, my “numbers” from the semi-annual utrasound have not changed much. Thanks a lot for your answers. I was hoping that if the ultrasound numbers don’t change much, the endurance will not decrease significantly. But Bob, you confirm that it does for you; and unfortunately I see same for me although 25 years younger. Still it puzzles me that for you as for me it seems to degrade more after the diagnosis for a condition we have since birth. I was only diagnosed with BAV after a routine examination and only because my company has increased in size above a threshold at which all employees are supposed to be subjected to this examination (weird law in Belgium). Anyway, I will continue with running as much as I can, and now I have an excuse for my lousy performance. PS: I noticed that the option “Notify me of follow-up comments by email” doesn’t seem to work. Hi dr. Thank you for best websit. Im 31 and 1 years ago i found im BAV with modrate AI. With aortic root 39mm. And now my aortic root is 42 mm. I dont have any ayptoms. My doctor says i use losartan for decrease my blood presure. Less 100mmhg. Sbp. My heart rate some time is 100. Tachcardaia beetwen echo due that doctor couldent see clearly. Please help me . What should i do? Thank you so much. You’ll need to rely on your doctors for advice about your condition. Patients need operation if there is severe stenosis or regurgitation of the aortic valve….or if the nearby aorta becomes moderately enlarged. Thank you so much for your explanations, I’m 30 years old with BAV 2 instead of 3 leaflets since birth, doctors recommended me to have Echocardiography test each year and so. Ten years ago (2006), doctors said that there was a worsening of the BAV but still no need to have Aortic replacement. since the last worsening ten years ago, the situation still stable and each year I went to the doctor to have the tests, they still tell me nothing has been changed since. I do not do any kind of sport and I want to have healthy life at make sure my situation not getting worse and I weight 90 kg. And my doctor do not give me responsive and exact answer to my questions regarding sports. I’m not looking forward competitions nor marathons. 1) What kind of sports are recommend to me according to my situation? 2) According to your explanation I rather not do cycling sports, but can I have low intensity sport like cycling or swimming twice a week for 90 minutes each, or 3 times for 60 minutes? I’m not sure there’s enough information at hand to offer sound advice. I would encourage you to have further discussion with your doctor(s) about EXACTLY what forms of exercise are safe. I have BAV with an ascended aorta and heart murmur. I was diagnosed age 4 and am now 35. I have had scans and echo’s for as long as I can remember and have never been on medication nor has this condition stopped me from doing anything I have wanted. My last CT scan in November showed a change from 4.3 (May) to 4.5 (November) – however I was only given these results yesterday. The Cardiologist now suggesting taking beta blockers as a way to slow things down and has advised that anywhere from 4.5 to 5.0 is where he would consider intervening. i.e. Surgery. In your experience how long are we talking before I have to have surgery and do beta blockers really help in prolonging the need for surgery. Sadly, no crystal ball is available. Our only tool to keep track of aortic enlargement is repeated measurements with CT or echo. Beta blockers are frequently prescribed in the circumstance you describe, but in truth we don’t know if they will be effective in delaying surgery for any given patient. my son has BAV he was born with. He is now 15. This has caused a Thoracic aortic aneurysm that is 4.3 cm. Every 6 months it is getting larger. He is on meds to slow it down. He was forced to stop playing football at 11. His cardiologist told him to focus on basketball. A week after he made the varsity team as a freshman he was told by the doctor he couldn’t play. His BAV is causing very little back flow. Since he had to stop playing.. depression has set in. He’s gained 25 pds . This was 7 months ago. He isn’t interested in anything else. The doctor said she would see if she could talk about his case with the surgical panel but she said even if he did have surgery he couldn’t have a career in sports…??? He would be devastated to never be able to play again. I’ve done so much research and there are lots of young people who have went on to play sports and lead normal life’s. Is that far fetched? Yes, there are many athlete patients who’ve had operation for BAV/aortic replacement and returned to a variety of sports. I have a St. Jude’s Bovine valve now. I ran a 1/2 marathon 4 months after my surgery and have been since training for the Philly FULL marathon, which is tomorrow. On Monday the 13th, I had my annual echo. They said that everything is working fine except that I have a slightly enlarged aorta and the very beginnings of an aortic aneurism – which most likely occurred PRIOR to surgery as a result of the pressure over the years and my old BAV. As of Monday, my BP at the echo appointment read 115/66. My AVG HR on a daily basis is between 61-64 (that includes a workout where it exceeds 150 at times), I have no intentions of “racing” this marathon, simply crossing the FINISH line, and my heart rate will not exceed 150 – I will walk when/if necessary. Am I crazy? Apologies for my slow reply. Did you run? And, if so, how did things go? I’ve done the Philly a Marathon a coup,e times and know that it’s a terrific event. Aortic enlargement in patients who’ve had valve replacement for BAV can be a vexing problem. There is not much scientific evidence about what to expect. Prescriptions for safe exercise will need to be carefully tailored to your particulars. It will also be necessary to keep a close eye on the size of the aorta over time, using echocardiography and CT. This is an area where second opinions may be helpful in sorting out what’s safe. Great article! Just still unsure however if my bioprosthetic valve affects my cross country running times. I had it replaced in 2014 and am now 16. I was just curious if there any way to know if my valve is affecting my times at all? Great to hear that you’re doing cross country running. The various artificial valves are a little bit less efficient that the valve we’re born with. If a large enough valve is implanted, there may be no noticeable impact on the ability of the heart to do extra work that comes with running (or any exercise). If the valve is smaller than needed, there can be a limit to the ability of the heart to do extra work–and that can show up as less speed. I had a Bentall with mechanical valve done in Feb 2017. I had multiple re-hospitalizations but seemed to recover. At approximately three months I became very ill and was diagnosed with prosthetic valve endocarditis. Went through the process of antibiotic therapy and……. eventually was told everything was ok……. On Aug 30, 2017 I passed out at the gym and subsequently airlifted due a large abscess and valve dehisence and underwent another operation and now have a homograft. I have a few questions because I was instructed not to lift more than 10 lbs and that I could resume surfing in a year. How long does it take for the homograft to completely heal? Should I increase amount of weight? Should I be doing push-up’s/pull-up’s? I don’t want to do any damage or compromise my homograft as the last surgery was a very difficult recovery. Thank you for your assistance in this matter. Good to hear that you’re making a good recovery from your second operation. I would think that, ordinarily, a homograft would heal up along a similar timeline to other types of valve/aortic root replacement. In your case, though, the infection might well influence the healing process. I’m not surprised that you’ve received a conservative recommendation about exercise. The best source of recommendations about safety of various forms of exercise will come from your doctor(s) who are familiar with all the particulars of your circumstance. If you’re questioning the recommendations you’ve received, perhaps a second opinion might be helpful. Perhaps your primary care doctor or cardiologist could help you find another specialist in your area who could help with that–look over all of the pertinent information and share an opinion about “what’s safe.” In my practice, we often do such second opinions (about all sorts of issues) and I have found that athlete patients usually value the information that comes from such visits. My son is 12 years old. He is football player and he has training 5 times per week (for about 1,5 hours each). He was just diagnosed with functional BAV due to partial “stuck together” of two leaflets (out of three, as far as I understand, they are equal). He also has minimal leakage at the valve aorta. No enlargement of aorta or any other problems. 2)	He can lead a normal life & can continue his training with regular echocardiography control (once in a year). I would very much appreciate your opinion weather he can continue his regular football training or should stop it. From afar, I don’t have much to add. I don’t know all of the important details. I know it can be frustrating when you get conflicting opinions regarding the safety of exercise. If the conflicting opinions both come from cardiologists, you should ask them to confer with each other and arrive at some sort of consensus. I’m a 44 year old male. An echocardiogram last June revealed a function BAV. No stenosis, no calcification. No aneurysm. Mild/moderate regurgitation. My mother passed away last May following her second AVR. It was her death that prompted me to get checked out. Needless to say, the diagnosis was quite overwhelming. To make matters worse, I had a bout of AFIB, about 6 months ago. I went through the regiment of meds that are prescribed post AFIB. I had a cardio version to correct the AFIB. I now take diltiazem daily. My cardiologist has told me that, based on how my heart sounds, he doesn’t think he’ll ever have to operate on me. In your experience, can patients with BAV go a lifetime without having AVR? I exercise, eat well and keep my weight down. I’m paranoid to exercise too much for fear that I will do damage to the valve. I used to run a lot. Now I take brisk walks and run on the treadmill only occasionally. My problem is a perpetual fear and worry about having this diagnosis and having to someday undergo open heart surgery. I’m afraid I’ll end up like my Mom. What advise can you give to someone in my position? Do you recommend any particular diet, exercise, vitamins,etc.? How much exercise is too much for someone with a functional BAV? Yes, there are certainly individuals with BAV who go a lifetime without needing valve replacement or aortic surgery. Sadly, we don’t have a crystal ball, though to know what the future holds for any particular individual. The current guidelines suggest that sports activities do not need to be restricted for patients with BAV who have no valve regurgitation/stenosis and who have no enlargement of the nearby aorta. I do think that this condition can weigh heavily on patients’ minds, though, and in your case perhaps particularly so because of the experience of your mother. I know that heart surgery can be scary….but I also know that for the vast majority of patients with these conditions, surgery goes well and the outcomes are good. If you’re uncertain about any advice you’ve received about exercise, you might try to seek a second opinion that may provide some extra confidence about exercise. Thank you for taking the time to respond to my post. I found a cardiologist with whom I’m quite happy with. I’m just going to do my very best to stay the course and have annual echoes to track my valve. Thank you for what you do and for your responsiveness. Thank you for taking the time to respond to everyone’s concern. I’m a 33 yro female, diagnosed with BAV. After the scans, ultrasounds, stress tests and TOE, I was diagnosed with BAV with no Stenosis, no Aortopathy and no evidence of Coarct and normal LV size and function. there was a tiny strand of tissue on the septal aspect of the muscular LOVT (LCOT Vmax 2.1m/sec;20mmHg peak gradient. I used to do HIIT and moderate to heavy weight 5 days a week before my physical complications. My Dr. gave me the all clear to go back to my exercise routines. however I have been getting pain (on the left side of my breast) and chest pain due to lack of oxygen. I have almost everyday all day shortness of breath which follows with chest pain and discomfort. these conditions occur mostly during my exercises at the gym and I’m left very lightheaded and shortness of breathe. when I discussed this with my Dr. he reassured me that it’s not my heart causing it. I had to take time off gym, when I returned I only did light weights and only walking on the 4x a wk and the same issues where still there. Could you please give me an insight into what else could be causing these chronic episodes of shortness of breathe, lightheadedness and off-on chest pains. Considering the results of my stress test and TOE, do you think it could be my heart and should I seek 2nd opinion. From afar, it’s hard to know what might be responsible for your symptoms. There are just so many causes of shortness of breath, lightheadedness, and chest pain….even besides the heart-related causes. A 2nd opinion might help by bringing another set of eyes and ears to your problem. This is such an interesting blog, I wish I had known of it sooner. I would just like to share my experience of having a Aortic Valve replacement. I played competitive amateur football (soccer) on Saturday and Sunday from age 16. In my early 40’s I thought that I was getting out of breath more than I should and eventually began to feel weak or nervous during a game, but only on Sunday. I got checked out by my GP who detected a murmur then had all the other heart related tests and was diagnosed with BAV with stenosis and regurgitation. My consultant informed me that, because of my age, I would have a mechanical valve fitted which meant that I would be on warfarin for life and therefor not be able to play football. However, my surgeon told me that he could fit a tissue valve and so would not need to be on warfarin. I had a Medtronic Freestyle valve fitted in May 2002, did exactly as directed regarding exercise etc. after surgery and was playing football again by September. I am now 60. I have only played a few games of football in the last 5 years due to a knee injury but I have continued running for fun and do 5k in a reasonable 25 minutes. I have regular checks, 12 to 18 months, and until about 3 years ago was told that it was hard to tell that I’d had a replacement valve, it now shows ‘slight stiffening’. I realise that I will eventually need the valve replaced again and just hope that things go as well next time. Thanks for sharing your story, Graham. You might keep in mind that trans-catheter aortic valve replacement (TAVR) can be used to re-replace the aortic valve. If reoperation is needed in your case, this would be something to discuss. Thank you so much for a response. When I had my valve replaced I was told that it would have a 20 year ish life but I think it should exceed that. What is a TAVR? Is it like keyhole surgery? The surgeon I used told me that he had performed keyhole surgery once but wasn’t sure if it would be of much benefit to me. “Keyhole” just refers to the type of incision used for conventional valve replacement like you had. TAVR is a relTively new technology where a new heart valve, “shrunk” onto a catheter,” can be threaded through the bloodstream (usually through a leg artery) to where your current valve sits….and then expanded inside the current valve, pushing it aside. Today at my hospital, we do most 1st time aortic valve replacements for aortic stenosis (narrowing) this way and have started using TAVR for patients with previous AVR using tissue valves who need re-replacement. thanks for sharing all this interesting info. I had a David Tirone Operation a couple of weeks ago to repair a BAV with aortic dilatation (49mm), and a small leakage. The surgery was a full success, and the valve is closing really well now. I asked my surgeon and also the echocardiographist about my sports performance after full recovery, about 6 months after the surgery. I am mostly a runner, 4 times a week, with 10 – 21 km races. On said “it won’t make a real difference”, the other said “oh yes, that was like a blockage, you will feel the difference”. Now I’d like to know your opinion about physical performance, before and after. Does the BAV with aortic dilatation and small leakage prevent the blood to flow less efficiently? Did the heart have to work harder to compensate? I’ve heard from a fair number of endurance athletes after having aortic valve operations of one sort or another. Their experiences have been variable, and perhaps for a variety of reasons. I think it’s reasonable to think of things this way…. When there is narrowing (stenosis) or leakage (regurgitation) of the aortic valve, the heart must do extra work. This is true at rest and may be even more so during exercise. To the extent that any operation fixes the stenosis or regurgitation, we might expect better efficiency from the heart. This might reasonably translate into some measurable improvement related to physical exercise. The pitfall, though, is that our “native” aortic valve is itself very efficient. A repaired valve may not be as efficient as the native, healthy valve. And any valve substitute (with valve replacement) is clearly not as efficient–even if the substitute is better than a diseased valve. Like I said, people’s experiences are all different. Think to report back to let us know how things go for you, personally. I’m 33 from UK and have known about my BAV since I was around 18. I am a keen weightlifter, which is the basis of this post. I have been given no restriction to date in any physical exercise as my valve is in decent condition. The confusing thing I hear is some cardiologists telling BAV people “not to life over “x lbs”. I get the fact that lifting excessively can cause a spike in blood pressure, but only under certain conditions (i.e. Holding breath during lifts – valsalva). My problem is with cardiologists stating “do not lift anything over 50lbs”. This is ridiculous. I say this based on the fact different exercises will allow for differrent weight tolerances than others, in addition, stronger people can handle more weight than others. E. G. I could bench 50lbs with no need to strain and hold my breath, which wouldn’t result in a massive spike in blood pressure, but if I tried to bicep curl 50lbs it would do. Likewise, if I did a 60kg bench press I could easier than say an 18 year old girl started at the gym tried that, they would have to strain beyond belief. To me, cardiologists are not sports people and air on being absolutely over cautious. To me, you know your own body and what you can manage whilst straining as little as possible. Some good points there, Craig. Thanks for sharing. Dr. Larry, very helpful content. Congrats! It seems to be a very interesting option for those who have aortic dilatation due to Marfan or BAV (which is my case). Although we still don’t have very long term results tracked (15+ years), in the short term the results seem to be much superior to regular bentall de bono option (and its variations). I’m highly considering this option, after 4 months of research and appointments with doctors. Since I’m very active in sports, I’d like to have your opinion on it. My sinus of valsalva is at 4.8 and my BAV is functional (discrete regurgitation). The procedure has the potential to bring the aorta to 4.3/4.4 and avoid further enlargement. Thanks for sharing the article about the PEARS technique. I hadn’t heard about the technique previously. It’s always good that investigators are looking for new solutions to old problems. You didn’t mention your age, but obviously you’d hope that whatever operation is performed….lasts a lifetime. That’s always the concern with new techniques with limited follow-up data. I applaud your efforts to search out information to help you decide on a course of action. Keep us posted! Dr. Larry, thanks for the reply! I’m 32 years old and didn’t expect at all that my aorta would dilate. Regarding the PEARS, the main concern is about the possibility that the aorta dissects even in a controlled measure (let’s say 4.5cm). So far, none of the people that had the operation suffered any dissection. In fact, one young man died 5 years after operation (from other non related causes) and the study on his aorta tissue revealed that the device helped it to heal, presenting a healthy histology. What is your opinion about dissection in low/controlled messures? Doing nothing won’t be great for my heart and won’t extend my life neither probably.. Consensus guidelines suggest that athletes with mild aortic regurgitation and no other heart problems can participate fully in their sports. I’m not sure how you should best sort out the differing recommendations from your doctors.